Party time is coming soon and it is a good time to save money on clothes and dresses. And you always want to look different and gorgeous in every outfit. Buying good dresses and outfits always require you to spend good chunk of money. But it is important to buy dresses at reasonable prices and save yourself from spending too much. We women love to buy clothes and dresses more than men. It is because dresses and clothes are so pretty that it becomes difficult to curb the craving of buying that beautiful piece you love on that mannequin. Still it is important to save yourself from buying too much and spending too much money . Look for coupons whenever you want to shop. There are always coupons and coupon codes to save you from spending too much. Just look for the coupons and save money. Online sites have very good offers with cashback. Go for them. 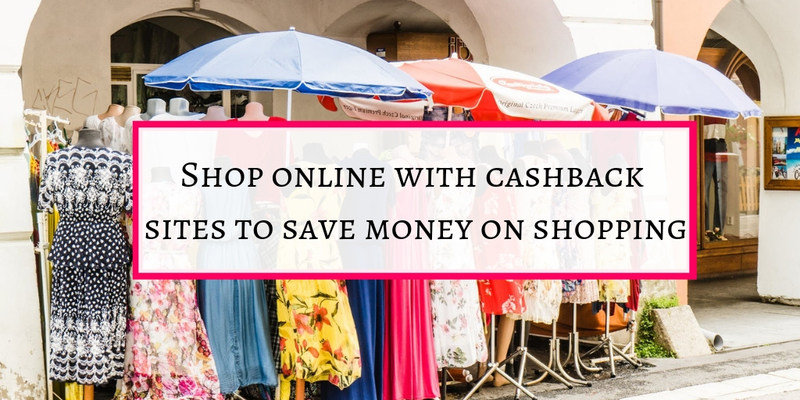 Ebates and Cashrewards are both very good for options for getting money back. Sometimes there are double cashback to save more money. I have really got around 230 dollars by shopping on Ebates and Cashrewards this year. Store centres are always loaded with expensive pieces because as humans we are inclined to move to the centre of the store. Always look for the sale prices and stop there. Because sale pieces are there to entice people to come to store and enter inside to move towards pricier items. Avoid this and you will benefit from this simple tip. This is always obvious but I want to remind you again to refrain from buying on whim and wait for the season to go so that you can make your wallet happy. Sometimes old clothes start wearing and tearing or have few loose seams. If you are bit crafty , you can re-purpose your old clothes to make them look like new. Re-purposed old clothes give different dimension to your thinking about that old dress. If you don’t want to spend even a single penny on clothes, swap your dresses with your friends. I did this when I was in college. It was real fun. There are always some dresses which we really don’t want to wear. Don’t keep them in closet just to have a look on them, and feel happy about it . Sell those and you can buy few more clothes from that money. Buying branded clothes for workout is not a good idea if you really on a money saving spree. Always buy good quality but cheaper clothes. Have a look for the days when online shopping sites go for sales. Buy in those days and you will save a good chunk of money. This one is my favourite. Wearing different accessories with simple tops ad dresses make them look fashionable and chick. Try to make your old dresses look like new with your matching jewellery. Only dry cleaning clothes are really difficult to keep because they become expensive with every wash. Avoid this and buy those that can be washed with simple plain water and basic detergent. Don’t buy designer clothes just to show off. Clothes and dresses should be according to your wallet. If you want to save money either buy designer clothes from resell sites and places which give you designer pieces at reduced rate and those pieces are barely used. Create your own fashion style. Go for mix and match pieces. While buying clothe, pay attention to the style which you can wear with many types. If you are buying some dress, go for long lasting one. It will fetch you money on the long run. If you bought something and didn’t liked it, return that piece. If you don’t like it now, there are high chances that you will not like it after sometime. Better return it . An organised closet will remind you of the clothes which you like to wear and the ones you don’t wear at all. You can sell those which you don’t like to wear and earn some money. Catalogues are very handy in saving money on shopping clothes. Here we get so many goodies from Big W and target often. Even Aldi have sometimes very good deals on clothes. Though they are very basic ones. Store credit cards and reward cards save you some money which you can use for further purchases. Use store credit cards wherever possible and collect points and save money. Sign up for email lists from the stores you like to shop. You will get to know the sales and offers before hand. If you buy any special kind of item, you can easily save if yo know about the price drop. As with the other family budgets, it is in your best interest to keep a clothing budget too. Don’t overspend and keep an eye on your spending of clothes. Yes please never buy any item if it is on less price but smaller or larger size. I have one friend who always try to buy one size smaller because it will motivate to reduce weight. And every time she will remain motivated for few days and then all the motivation vanishes. I have personal experience of buying a bigger size clothes for my pregnancy. But I never put on much weight and my baby was born early. After baby birth, I lost my weight due to which I even looked thinner. I had to alter all my big sized clothes. It is better to stick to your size. There are always some days in the year when you can save money on your purchased items. Here in Australia , Boxing day is the day when there are so many sales everywhere. Black Friday is another one. And look out for store specific sales. Never go for impulse buying. Sometimes it is in your best interest to buy from resell sites. Vaunte, Material world, Vestaire Collective. Vestaire Collective is a good choice if you want to buy barely used designer pieces. Some stores can give you money back if the price go down and you will be able to get that money back. We bought some furniture and I was at their email list. I got an email of price drop within few days. I immediately called the store and they gave us money back. This happens with clothing stores also. Having multi-seasonal clothing saves you from buying at the change of every season. It will really save you from going shopping now and then. 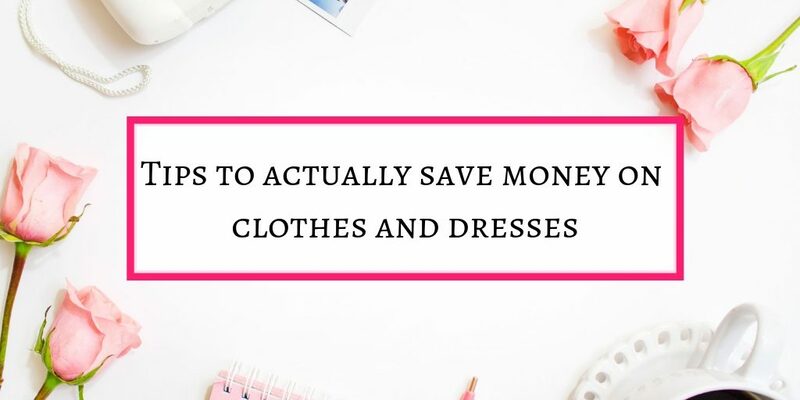 These are my ideas to save money on my favourite thing to do, shopping clothes and dresses. What do you do to save money on clothes. Please tell me in comments. And if you like the post, please share. I will be thankful to you for this. Love all these ideas for saving. 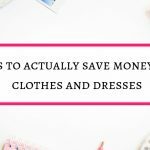 My husband is super thrifty too so he will be glad I found this post and put it into practice! Hey Nisha, thanks for stopping by and reading. 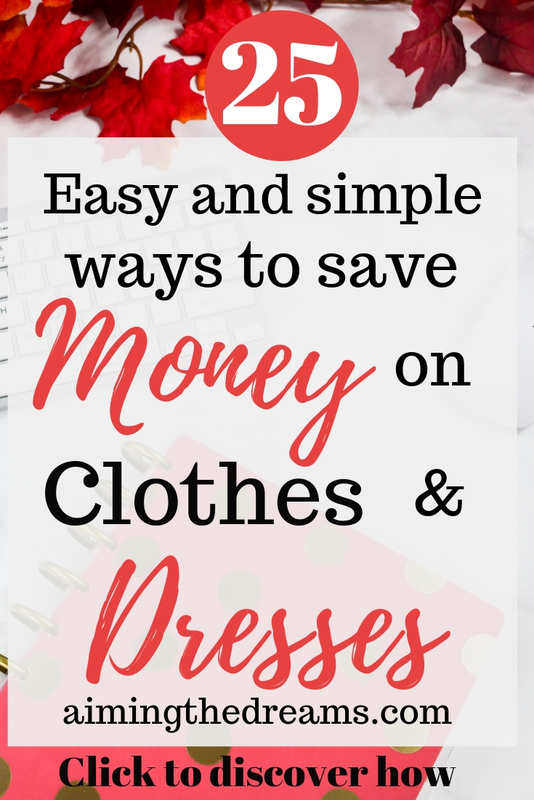 And yes these seems to be very simple ideas but really helps in spending too much on clothes and dresses.